After Friday’s sudden rally in Bitcoin (BTC), there are two questions at hand. First, has anything really changed? Second, what should traders do next? First, let’s look at what has NOT changed. It would seem like the cycle of shorts getting stopped out on a spike and longs errantly chasing may be intact. The reason we say this is that Bitcoin (BTC) was unable to get through its 50-day moving average. The 50-dma is the red line shown in Figure 1. The level is near $3,739. Using the 50-dma in Bitcoin (BTC), traders can be more confident in upside if there is a sharp move above it. Also, we see the Wyckoff bottoming scenario shows promise (Figure 2 & 3). There is also work from Gann theory that is very promising. This work shows $3,660 as a key level. That work hints that either a huge move up or a huge move down could unfold over the next 14 days. Looking at the Gann work, this could be the best chance Bitcoin (BTC) has to make a permanent bottom. It’s the best that we have seen in quite some time. Bottom Line: I think traders can take a “now or never” attitude on Bitcoin (BTC). If you are bullish, buy a dip. 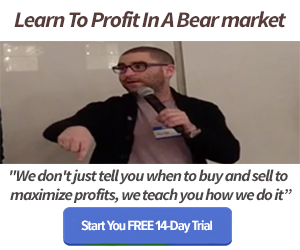 If you are bearish, sell a rally. If you manage the stops properly, it could be a 30 or 40 percent gain if you are right. The Gann work shows that we could have the answer on this up or down move over the next 14 days. The Crypto.IQ Trading Desk has levels they are watching to see if getting long on a dip makes sense. They are the true scientists of trading levels, and the analytics group relies on them for guidance. Join me there for the most accurate way to set up for the next big move.